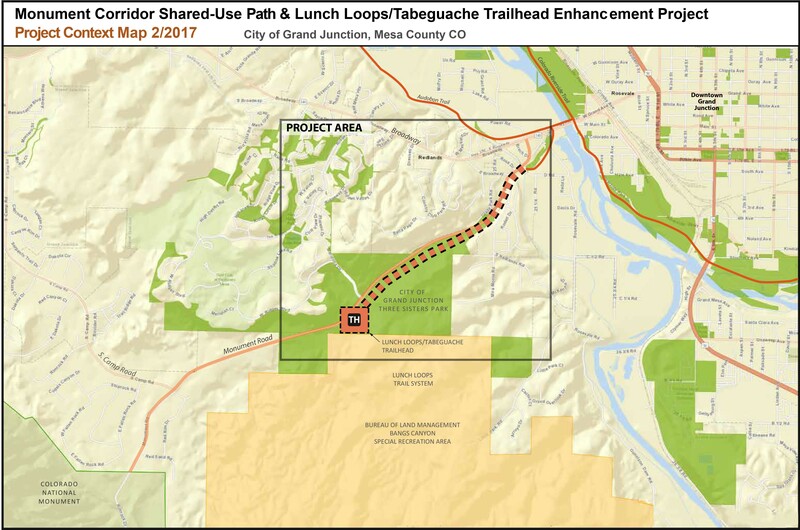 GRAND JUNCTION, CO November 28, 2018 – The City of Grand Junction and Colorado West Land Trust are thrilled to announce that the recent $400,000 award from the Colorado Department of Parks and Wildlife brings the fundraising effort to construct the Lunch Loop Connector Trail to the finish line. This $2.5 million project will link some of the Grand Valley’s most popular amenities and neighborhoods to the world renown and community favorite Lunch Loop and Three Sisters trail system. With the construction of this 1.5-mile Trail in late 2019, outdoor enthusiasts of all ages and abilities will enjoy a safe and almost seamless outdoor linear park that connects Las Colonias, the Audubon Trail, Connected Lakes, downtown Grand Junction, and the Lunch Loop and Three Sisters open space. Rob Bleiberg, Executive Director of the Colorado West Land Trust emphasizes the importance of this project. “The Lunch Loop Connector Trail fulfills a long term vision for this community that will connect families, kids, visitors, and trail users of all ages and abilities to the spectacular Three Sisters and Lunch Loop open space, that is so proximate to neighborhoods and other amenities but now requires a vehicle to access.” A paved trail will serve as an interface between urban and more wildland outdoor experiences allowing paved trail and dirt trail users alike opportunities to connect with nature.